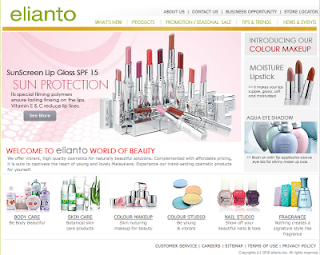 Elianto is owned by Bonita Group of Companies, a Malaysian Company. However, 80% of Elianto products are formularised and manufactured in cities such as Seoul, Incheon, Bucheon, and NamDo. Thus, according to Elianto’s sales personnel, Elianto is Formularised from the cosmetology of Korean experts with a customised touch for the Asian skin and climate. If so, then why are Elianto’s products made from all around the world? Their remaining products are made from Italy, Switzerland, Germany, Malaysia, Taiwan and China. All Elianto’s products are in compliance with the guidelines and the regulations of each country. Below are the lists of certification and accreditation they received from each country. Certificate of Manufacturer by Korea Cosmetic Association. Certificate of Free Sales by Korea Food and Drug Administration as stipulated in the Cosmetic Law of Korea. Certificate of Origin issued by The Korea Chamber of Commerce & Industry Seoul, Republic of Korea. Control of Drug and Cosmetic Regulation 2007 (Regulation 29A) by Ministry of Health Malaysia. Law for the Control of Cosmetic Hygiene by Bureau of Pharmacutical, Deartment of Health, Taiwan R.O.C. Healthy Manufacturing Practice Hygiene and Production Lisence by Guang Dong Provincial Institute of Health Inspection. Certificate of Origin of the People’s Republic of China. Free Sales Certificate which confirms that Elianto products are in compliance with the guidelines of Good Manufacturing Practices for cosmetic products (Cosmetic GMP) by the German Cosmetic, Toiletry, Perfumery and Detergent Association. All Elianto products are registered under the local manufacturer’s lisence in respective countries and registered with National Pharmaceutical Control Bureau, Ministry of Health (GMP Certificate). Elianto however, are availabe in Malaysia, United Arab Emirates and Philipines only. But, Why is Elianto so CHEAP? Our next issue on Elianto will explain why are their products so cheap. Their make ups are from China and skin care once was from Korea i think or never. They then changed it to Malaysia something like that under the company BONITA accessories. or they so called “inspired by korea” so many people think it was originally from korea? people who really know about make ups like certified professional make up artist or girls who are really into make ups rarely go for elianto. They usually go for MAC and something more professional because they respect themselves and make up =)i am definitely in to KATE, from kanebo. Hi, I’ve always known Elianto as a Malaysian brand. I don’t recall them saying that they are from Korea. Maybe their designs and products are inspired by Korean brands, but nothing illegal. Tats funny, the Elianto sun screen lip gloss SPF 15 lipstick that i have does have Korean lettering on the packaging. Who should i believe now?? but i dont really know tht is it really from korea or malaysia. hey girls.. first it was stated “formulated in korea” now we are getting feedback that its from italy? and we may or may not have proof of where it is made..
this is truly getting interesting..
i have emailed them.. they have not replied..
if we do not get an answer soon, blushberry will start tracking down their factories..
1. will malaysians churn out more businesses like this? 2. are we not proud enough to have a local brand MADE IN MALAYSIA? 3. are WE, the consumers at fault for condemning local products in the first place? for now, ask the opinions of ur make up artist friends n share them here.. i have a make up artist friend who uses the WHOLE pallete of elianto eyeshadow. that is certainly questionable as to who is the one at fault : the lack of info provided by them as an excuse to establish their brand? or our fault for not researching when we are blinded by cheap good packaging makeup. Not all elianto products is from Korea. They have products from various countries and even malaysia. Recently they just launched a seris of Hair Care range made in Malaysia. I know the brand quite sometimes and about the eyeliner, they are getting it from Italy (1 of the top manufacturer of eyeliner supply the goods all over the world). That’s why they said elianto products came from various of countries and not only Korea. I found this site using google.com: http://google.com And i want to thank you for your work. You have done really very good site. Great work, great site! Thank you! Hi all, i remember of buying Elianto’s lipstick. After using a while my lips become dry and dark. Ever since then, i have said a big NO to elianto’s product. All make up products are bad for skin. 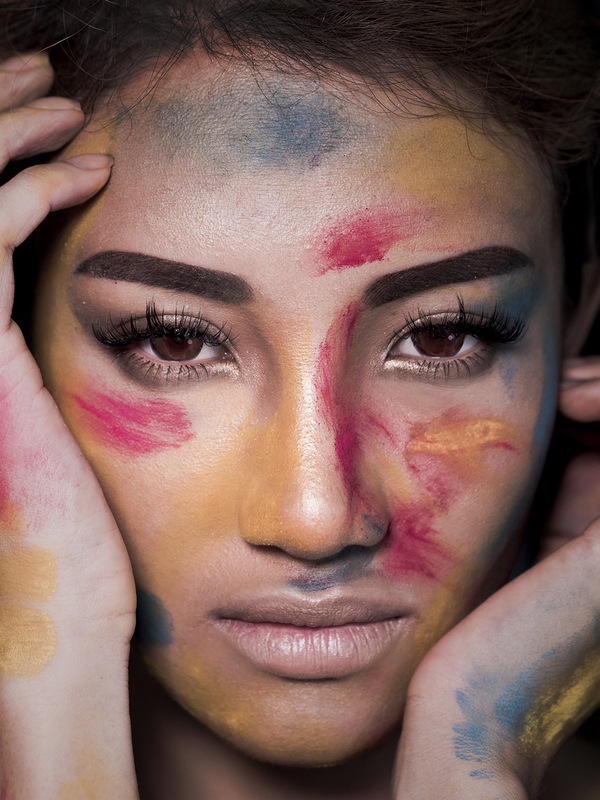 Those so called exotic colours from your eyeshadow, lip stick, blushers, they all came from chemical colouring. Just because the brand is expensive doesn’t mean it’s good. Some companies are just selling their name. Same goes to clothing, there are bad quality/material clothings from Zara or Topshop. People are just blinded by the popularity of the brand. Putting colours on your skin for a period of time will definitely cause your skin to get dull. Again, you’re putting inorganic substances onto your skin, of course it’ll affect your skin. Sorry if I offended anyone, and yes I do use makeup products and I have tried various brands. Too much of anything could be harmful. I go for Elianto’s products solely because they’re paraben-free! It’s so hard rn to find paraben-free cosmetic products esp eyeshadows. I guess it is our job take a good care of our skin regardless what cosmetic products we’re using cause all of’em contains chemicals.